. LIGHT from our high-quality, versatile and visually ergonomic INNOLUX range of lamps.
. VITALITY from good lighting and especially from our INNOSOL® bright light therapy devices, designed to relieve the winter blues.
. PERFORMANCE from our lighting design, which focuses on giving you a clear environment. Our brands are the INNOLUX DESIGN range of lights and INNOSOL® bright light lamps. We also offer visually ergonomic office lighting and outdoor and interior lamps. Our INNOLUX DESIGN range includes highly regarded, timeless classic lamps by well-known Finnish designers, as well as new models with 21st-century designs. All of our products are designed and manufactured in Finland. Innojok Ltd is a pioneer on research and development of medical bright light. INNOSOL® is the market leader in the Finnish bright light therapy market. 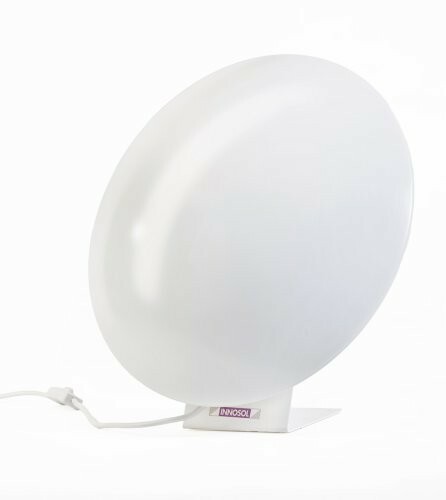 Our ad­vanced R&D team working together with world class designers results into an unrivalled and unique range of bright light therapy lamps. Our medically certified devices offer natural bright light therapy at the darkest times of the year.INNOSOL lights make their owners feel good. 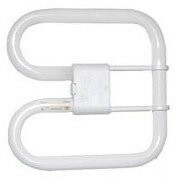 All bright light therapy lamps are designed and made in Finland. 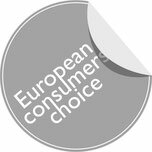 European Consumers Choice Awards 2011 winner INNOSOL® RONDO is cost-efficient, good-looking and user friendly. 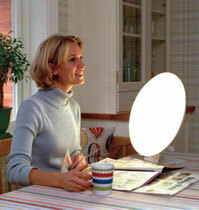 It is all you need for intense light therapy at home and office. 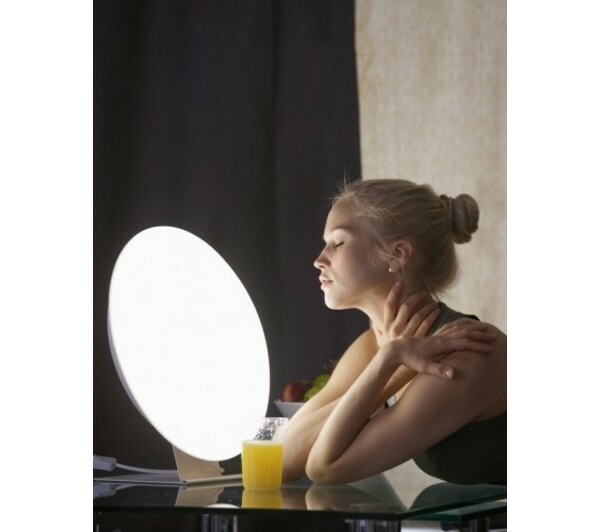 RONDO is a stylish bright light therapy lamp for treatment of Seasonal Affective Disorder (SAD). Its round and harmonic design creates a warm feeling of the sun and summer. RONDO has the latest lighting technology. A powerful 55 watt TC-2D fluorescent tube disperses the light evenly throughout the entire lamp shade. The surface luminosity is exceptionally low. That is why the light is so comfortable to eyes. The electronic ballast raises the light frequency up to 30.000 Hz resulting in a flicker free, effective and enjoyable light.